No shopping experience in Japan is complete without going to Mitsukoshi, the oldest surviving department store chain in Japan. The long-standing retail institution is known to discerning shoppers and travelers all across the globe for offering an elegant array ofinternational and local merchandise, and for taking to heart Japan’s unique brand of customer service. Filipino shoppers will soon discover first-hand what the Mitsukoshi shopping experience is all about as the retail giant opens its first Philippine mall in Bonifacio Global City (BGC). 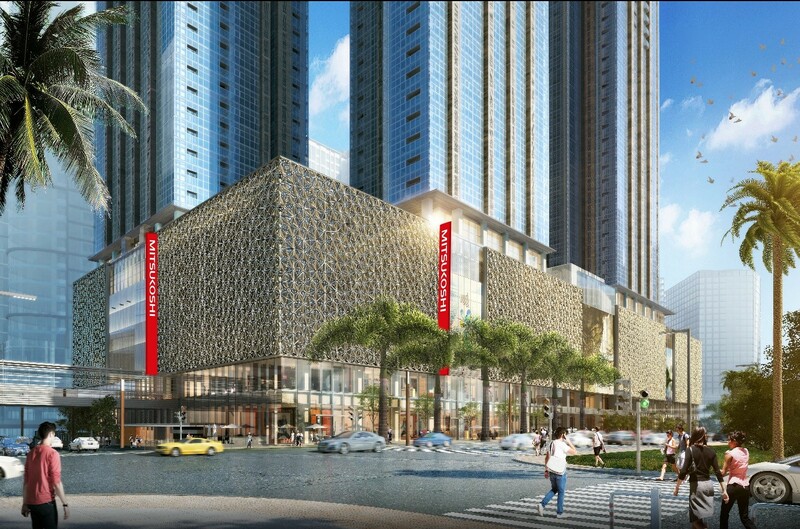 The mall named Mitsukoshi will anchor The Seasons Residences, an upscale, Japanese-inspired condominium project by Federal Land, Inc. in partnership with Nomura Real Estate Development Co., Ltd. and Isetan Mitsukoshi Holdings Ltd.
“As one of Japan’s most prestigious retail operators, Mitsukoshi’s decision to establish its first mall in the Philippines on the podium level of The Seasons Residences will help strengthen the latter’s position as a new landmark destination in the metro,” says Alfred V. Ty, chairman of Federal Land, Inc, who also believes that Mitsukoshi’s entry into the Philippines will revolutionize the country’s retail scene. 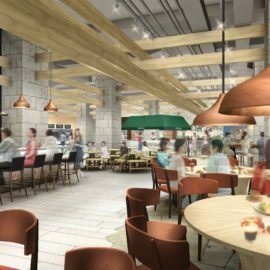 Opening in 2021, the four-story Mitsukoshi Mall will boast a merchant selection ranging from designer labels to the best names in accessible global and local retail, with many Japanese brands.An expansive beauty section will be one of the main highlights, going beyond brand and category distinctions to offer. The anchor shop on the section will be a latest beauty shop which will offer luxury cosmetic brands and high quality yet affordable Japanese brands. 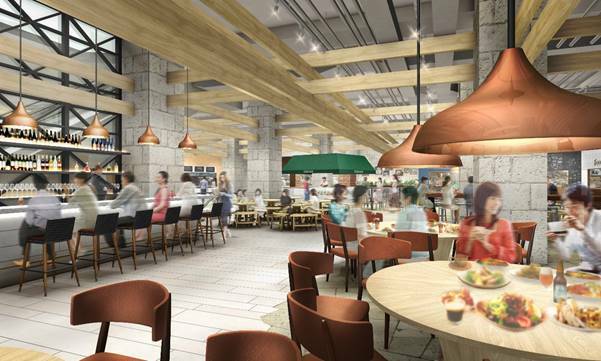 Food is an intrinsic part of Japanese culture, and Mitsukoshi Mall will reflect this with an impressive line-up of restaurants that include authentic Japanese cuisine. “We are carefully curating the mix of food tenants so we wish to offer the best tastes of Japan to Manila,” says Mr. Toshihiko Sugie, President and CEO of Isetan Mitsukoshi Holdings, Ltd. 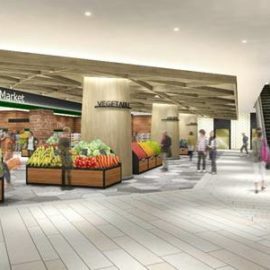 The mall’s Japanese-inspired culinary offerings will extend to Mitsukoshi’s Supermarket on basement 1, which will offer “Japan Quality Market” where the customers can enjoy delectable food. It will also include a perishable food corner where the customers can buy fresh products and imported goods such as the famous sweets and sake from Japan. In addition, there will be a live kitchen where customers can food that is freshly cooked by a professional chef in front of them. Mitsukoshi, always makes it a mission to make its customers feel special. And it won’t be any different in the Philippines. 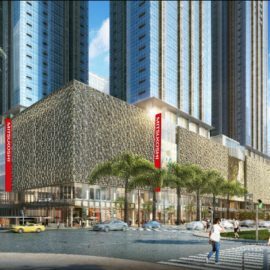 The Mitsukoshi Mall in BGC will embody the principle of Japanese-style hospitality, which seeks to anticipate the customer’s needs. At Mitsukoshi, it could mean a thoughtful greeting, approachable staff, or an efficient service counter. 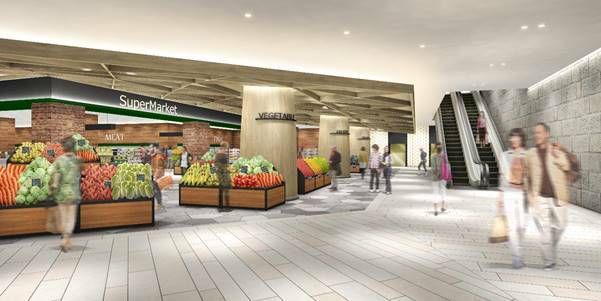 Mitsukoshi Mall will be first in the Philippines and the retail brand’s 56th outlet in the world. The department store chain, Isetan Mitsukoshi has overseas stores in Singapore, Thailand, Malaysia, Taiwan, China, Italy and the United States. For more information, call our hotline at (632) 359-6756 or visit the showroom at 7th Ave cor. 34th St, Grand Central Park, North BGC, Taguig City (across Lexus Manila Showroom from 7th Avenue).